That’s Arthur, on the left. And that’s the Truth, on the right. (A grey area.) They’re not best friends right now – and it’s no wonder. Why? Arthur has done a BAD THING, and now the poor Truth is being bent, hidden and stretched! Should Arthur be brave and tell his mum how her car really got scratched? Or should he invent an excuse? Or pretend he had nothing to do with it? Or blame his big brother? What would YOU do…? 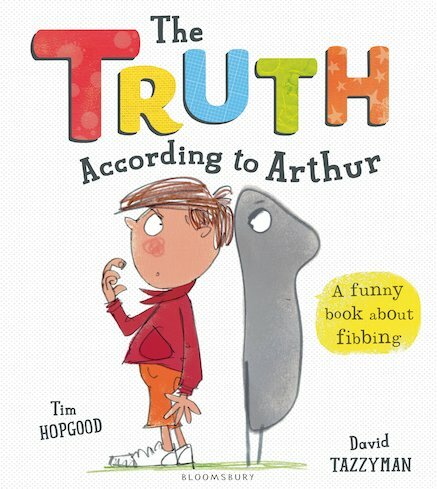 Well, you can find out what Arthur does in this unique picture book, with super-funny pictures by David Tazzyman.